Rep. Ken Bragg (left) listens as Rep. DeAnn Vaught asks a question during Thursday's debate on Senate Bill 539 which would create a tax credit to cover the cost of private school tuition for hundreds of students. Lawmakers spent much of the debate discussing whether the proposal would negatively impact public schools and if there would be adequate oversight of participating private schools since they would be benefitting from tax dollars. The House sponsor, Rep. Ken Bragg, R-Sheridan, said the bill would provide better options for students from low income families across the state. Foster children, those with disabilities and the children of military service members could also apply. "Wealthier parents have that opportunity. They can take their children and pay for private schools anywhere they want to go. Lower income children and some of these others that are confined to a geographic area, they have the choice but they don’t have the opportunity and that’s what I think this bill provides," Bragg said. About 400 students would be allowed to attend private schools under the program, he said. Families would get a tax credit for donations to registered nonprofit organizations which would go toward vouchers. Bragg faced many questions from lawmakers about the potential consequences of the program. 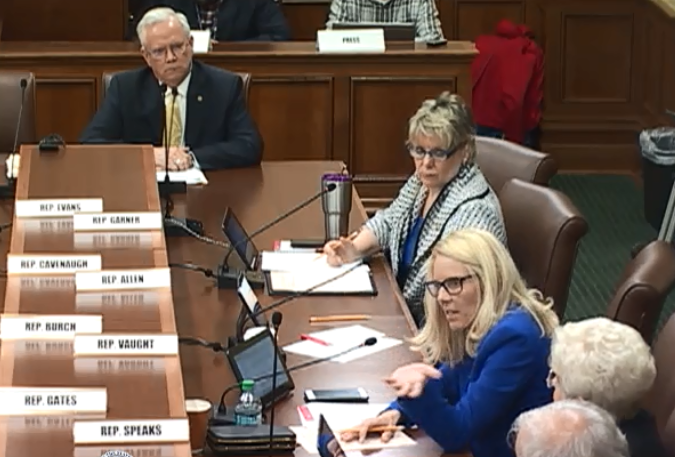 "Do you think… if this is approved that it would be opening a Pandora’s box that could possibly weaken our school system," asked Rep. Fred Allen, D-Little Rock. "No," Bragg responded. "It could be expanded. We’re talking right now about 400 students out of 486,000. You can call it a trial if you want. I think it’s just providing a choice, an opportunity for parents to exercise that choice." Asked if he thought the proposal would weaken the state’s public schools, Bragg said, "No. If I thought that I would never bring this bill before you." Bryan Duffie, superintendent of the Jacksonville North Pulaski School District, spoke against the bill. "My main concern, whether you call it tax credits or donations, not direct state money, direct state money, there’s still this accountability piece," Duffie said. "Will the private schools still have to comply with ESSA? Will they have to have school improvement plans? Will they have to do course approvals for all their courses that are offered for students?" Dan Jordan, governmental relations director at the Arkansas School Boards Association, told members of the committee that the proposal would end up costing public schools. "This bill allows individuals to divert money that would have otherwise gone to the general revenue to pay for students to attend a private K-12 school," Jordan said. After more than 90 minutes of discussion, a majority of the committee, including seven Republicans, voted against the bill. It was one of two voucher proposals introduced by Bragg and Sen. Blake Johnson, R-Corning, during this session. The other, SB620, would create a Capital Promise Scholarship and be limited to Pulaski County. Last week Gov. Asa Hutchinson spoke in favor of that bill, which would provide up to $3.5 million annually from the governor’s discretionary fund to pay the tuition of about 500 students. Momentum for SB620 seems to have stalled as lawmakers are working to wrap up this year’s legislative session. Gov. Asa Hutchinson is lending his support to legislation that would create a five-year pilot program using state money to cover the cost of sending low-income students to private schools in Pulaski County. It’s called the Capital Promise Scholarship and would provide up to $3.5 million annually from the governor’s discretionary fund to pay the tuition of about 500 children.